When will be The New Yankee Workshop next episode air date? 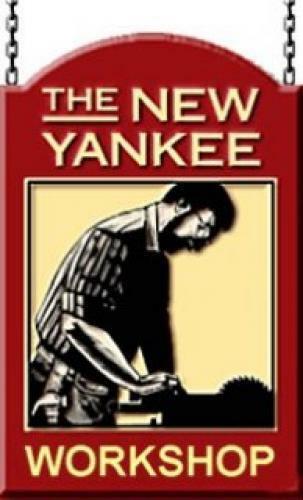 Is The New Yankee Workshop renewed or cancelled? Where to countdown The New Yankee Workshop air dates? Is The New Yankee Workshop worth watching? The New Yankee Workshop is shown on the PBS network in the United States. Each week Master Carpenter Norm Abram takes on a different project. Inspiration comes from various sources: museum pieces, viewer requests, and projects Norm finds interesting and useful. Projects range from those suitable for the novice to those challenging enough for a veteran. Projects often contain special challenges that permit Norm to explain various ways to overcome such challenges. For those who wish to tackle the projects themselves, producing public television station WGBH offers measured drawings, with or without tapes (and more recently, DVDs) of the episode. EpisoDate.com is your TV show guide to Countdown The New Yankee Workshop Episode Air Dates and to stay in touch with The New Yankee Workshop next episode Air Date and your others favorite TV Shows. Add the shows you like to a "Watchlist" and let the site take it from there.